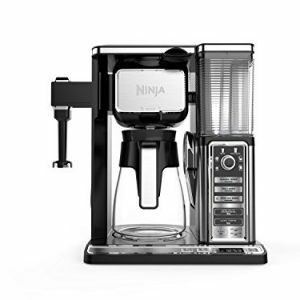 No two coffee drinkers are the same – so when you make coffee at home, the flexibility to customize how and what you brew is key. 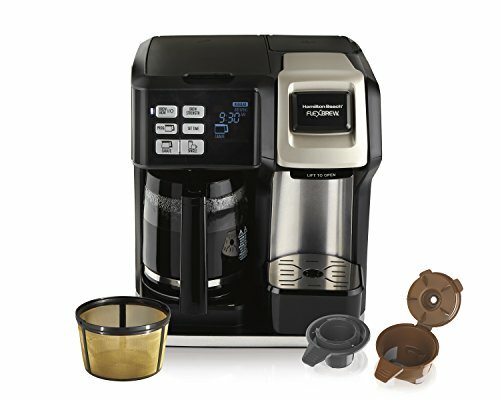 From fresh grounds to K-Cups, the Hamilton Beach FlexBrew 2-Way Coffee Maker gives you the options to please fans of all types of coffees and quantities. 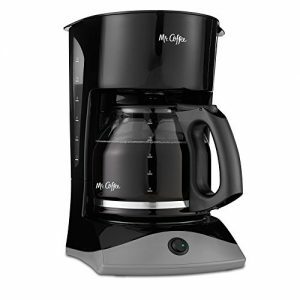 Brew a full pot using your favorite grounds on the carafe side, or make a cup for yourself using a K-cup or grounds on the single-serve side. Each side has an easy-fill water reservoir with separate windows, so there’s never any confusion or over-filling. You can also choose between regular or bold brew strength on both sides. 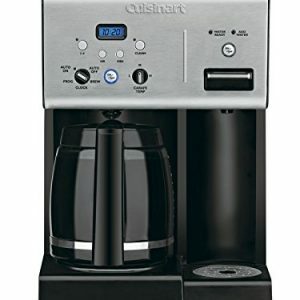 The full-pot side brews up to 12 cups of coffee using grounds. 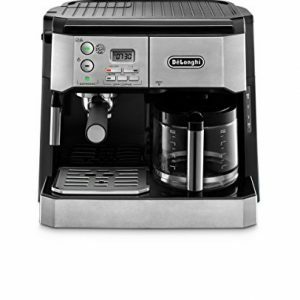 It includes a programmable clock with 2-hour keep warm cycle and automatic shutoff, automatic pause and serve. The single-serve side can brew up to 10 oz. with a K-cup pack, or 14 oz. travel mug with grounds. A removable cup rest doubles as a storage container for single-serve packs or to hold the gold-tone filter and brew basket.